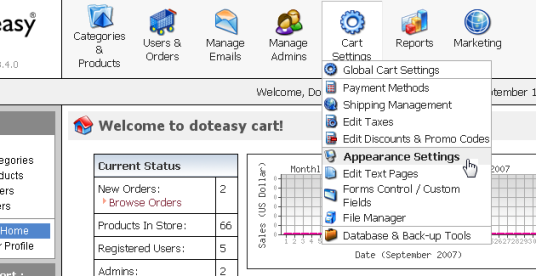 This section helps you in editing default site images such as logo, hot deals, credit card CVV2 and many more. 2. 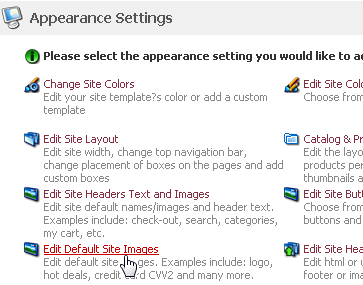 Click on the Edit Default Site Images link on the Appearance Settings page. 3. 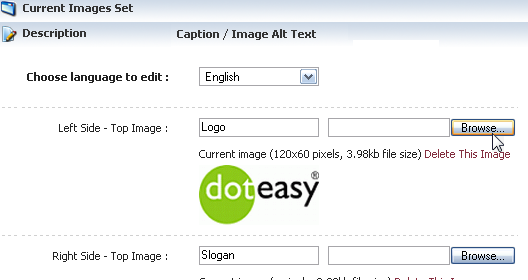 The Edit Default Site Images page will open, as shown in the figure below. 4. Select Image Set from the pre-defined image set drop-down menu. Once you have found the set you want to use, click on the Use This Set button. 5. Select the language from the Choose language to edit drop-down menu. 6. Enter the text in the Caption box. If you want to use your own image, click on the Browse button to uplaod the image for the respective sections. 7. When you are ready, click on the Save changes button.